It would seem pretty convenient that timing that Cumberbatch recently withdrew from Guillermo Del Toro's Crimson Peak. I'm grateful for this news- as wonderful as he is, there's an over saturation of Cumberbatch right now. It would be even more convenient that it Star Wars: Episode VII will begin filming in his own home in the U.K.
Cumberbatch himself had previously mentioned loving the Star Wars saga as a kid, and joked about being in talks to play a lightsaber and how much it would cost to make the lightsaber's iconic whirring noises with Total Film. Personally, I think this is a very good thing- to keep him from being a big villain in both new series' movies. 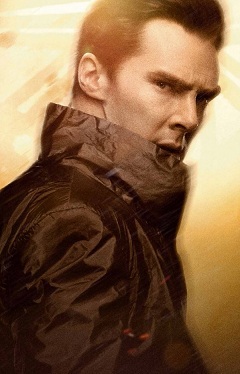 Then again, I do recall being assured that he was most definitely NOT playing Khan in Star Trek Into Darkness, but that turned out to be a huge marketing lie. So hopefully this is true and he won't be boldly going over to The Force.